For use in any MRI environment up to 3T. 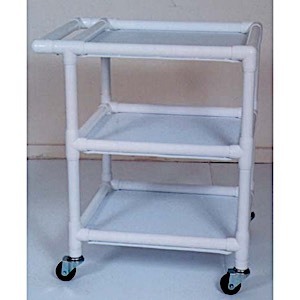 PVC Utility Cart has three Shelves with 14.5'' in between each shelf. MR Conditional to 3 Tesla.